In the September 2018 edition of Indonesia Investments' research report we had already emphasized the importance for Indonesia to focus on disaster prevention by improving detection systems (especially for tsunamis), educate citizens about how to act when disaster strikes, and encourage the construction of quality infrastructure and property (so that it can handle significant force without collapsing). It is good to realize that every dollar invested in prevention could save USD $5 in damages later on. The earthquakes in Lombok and Sulawesi - combined - are estimated to have cost Indonesia more than IDR 20 trillion (approx. USD $1.3 billion), including IDR 2.75 trillion in terms of residential housing damage, IDR 2.82 trillion in terms of non-residential buildings damage and IDR 2.5 trillion in terms of infrastructure damage. 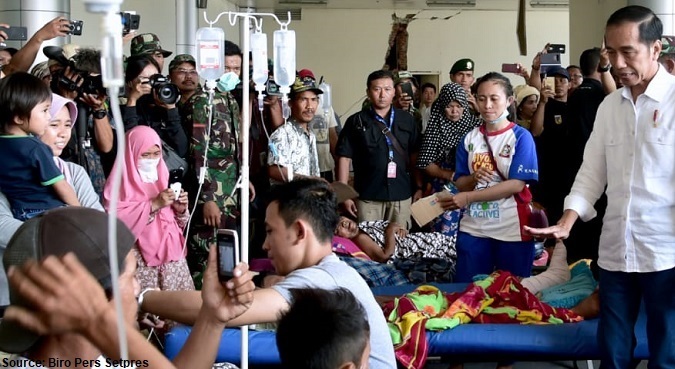 The number of houses that have been destroyed or damaged in the Lombok and Sulawesi disasters over the past couple of months is estimated to reach over 150,000. Different from a volcanic eruption, an earthquake comes suddenly and therefore catches people off guard. In case of a tsunami, people do have some limited time to flee the scene when they are close to the coast. However, those who live in the coastal region or those who have their business (for example a shop) in that area cannot suddenly and rapidly move their property or all of their belongings to avoid damages and losses. There is something people can do to limit losses, namely by investing in property and contents insurance. In Indonesia there are various financial institutions that offer this type of insurance, not only to households but also to business owners of shops, hotels, offices, and so forth. This insurance not only covers the property but also the contents within the property such as furniture, machines, and inventories of raw and finished materials.